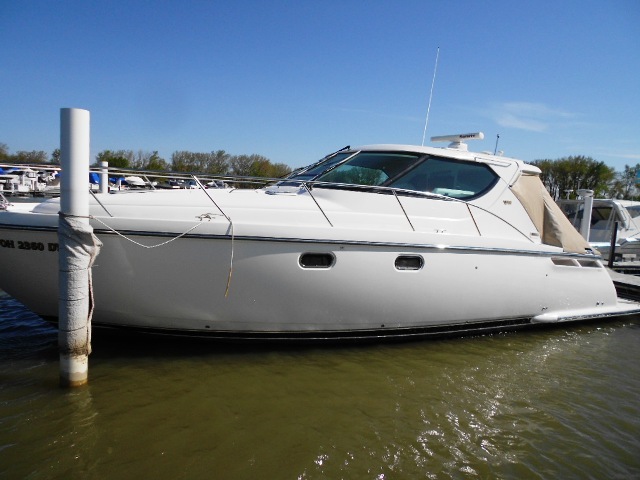 2004 Silverton 34 CONVERTIBLE, Silverton Yacht's stylish flybridge cruiser is base on a classic vee hull and boasts a very wide beam for a sedan cruiser of its size. As a result, the 34 Convertible is more spacious than many in its size class. The Salon features not only room for a dinette, starboard entertainment center, but a full sofa to the starboard side as well. The galley has a large upright refrigerator, Corian counters and generous storage spaces. The private owner?s stateroom is forward with a double berth angled in the bow, as the guests are treated to a stateroom fitted with bunks to port. While the head is also to port the separate shower stall is split to starboard. The interior is tastefully appointed with cherry cabinets and fabrics finished in warm-tone materials. 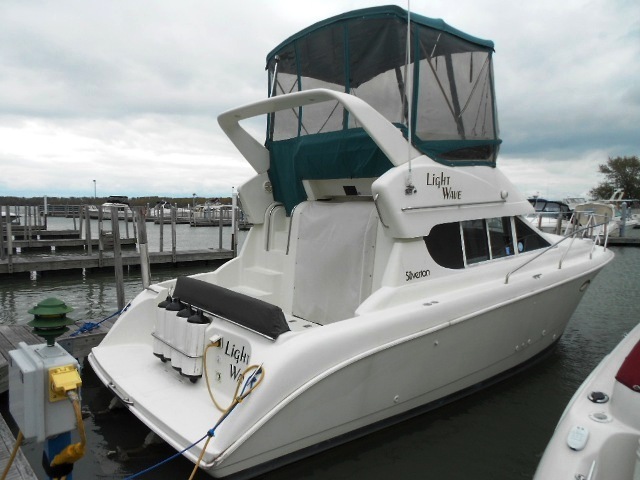 The cockpit sports extra volume for both lounging and sportfishing, a transom door, lots of rod holders and, in-deck fish box in the cockpit make it a convenient working area and there also very accommodative and convenient molded-in steps permit easy access to flybridge. Nice electronics package, newer canvas and more!! Call our Ohio showroom today to schedule your personal inspection. Trades considered. 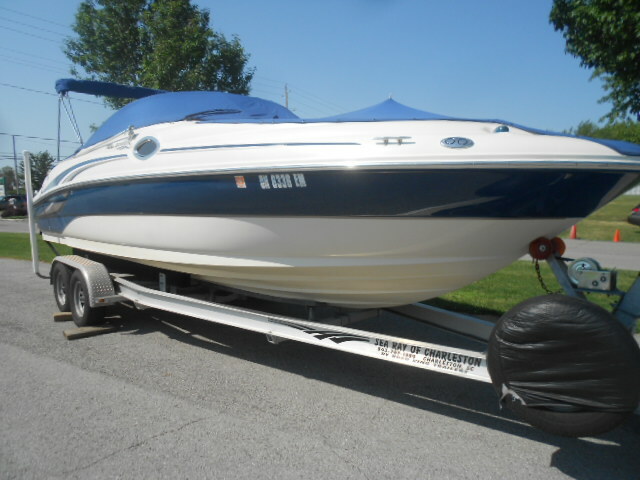 2004 Sea Ray 240 SUNDECK, Great day boat and low time. Mid 200'ish hours and has a pump out head. Canvas and trailer are in great shape. Was trade inspected and we completed a bellows job to make it ready to go! 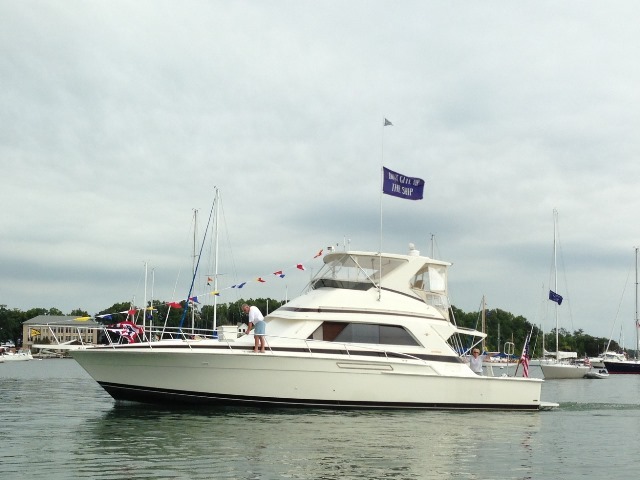 Is on the sales lot in Marblehead, Ohio. Call ahead of time, as this is a quick sale. Trades considered. 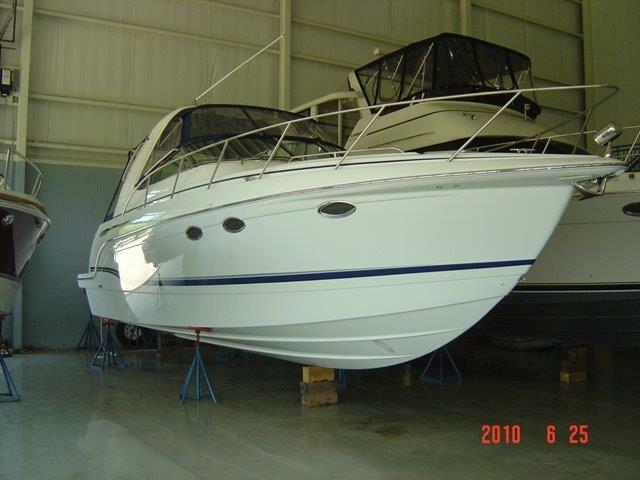 1994 Silverton 312 SEDAN, Very popular boat with great amount of livability. 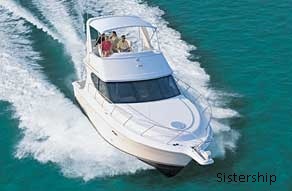 The boat is freshwater at the dock & turn key. 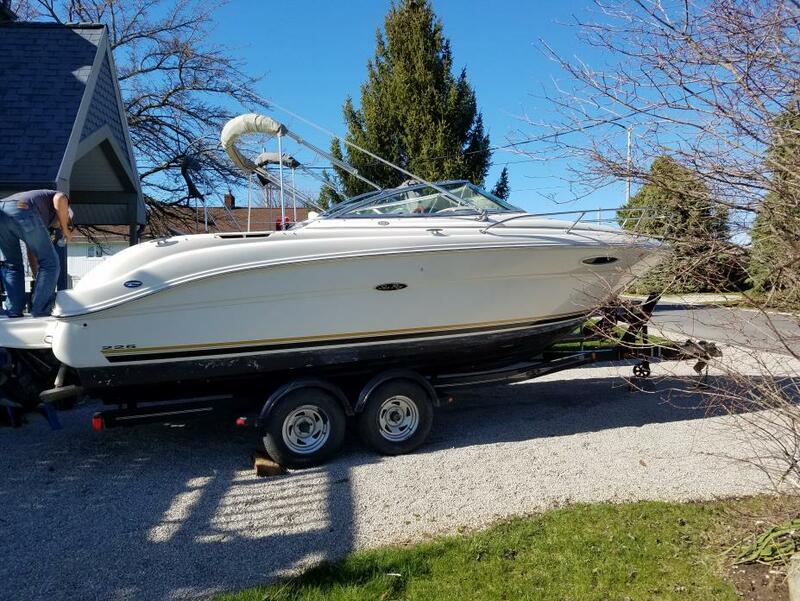 The current owner wants to get out of boating. Please call first as the boat is off-site about 1 hour. Trades considered. 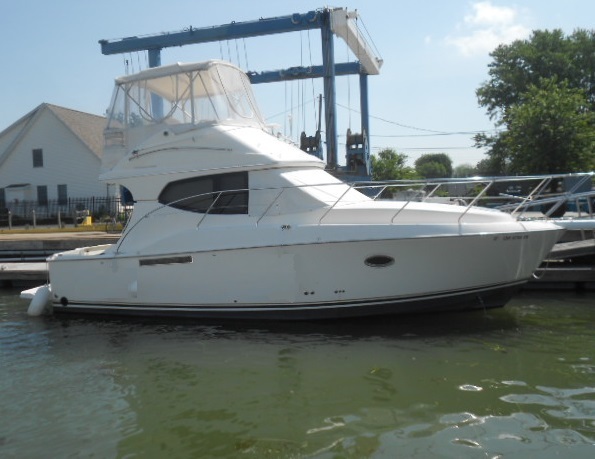 2008 Silverton 33 CONVERTIBLE, Exceptionally clean low hour, 1 owner, fresh water roomy interior with a wide beam. All of the amenities and then some. 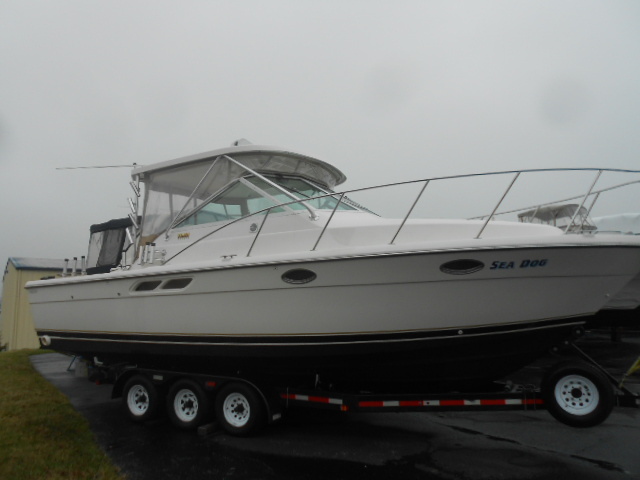 Options include: AC/heat, Kohler generator, Raytheon E-series GPS plotter, auto pilot, oil changing system. 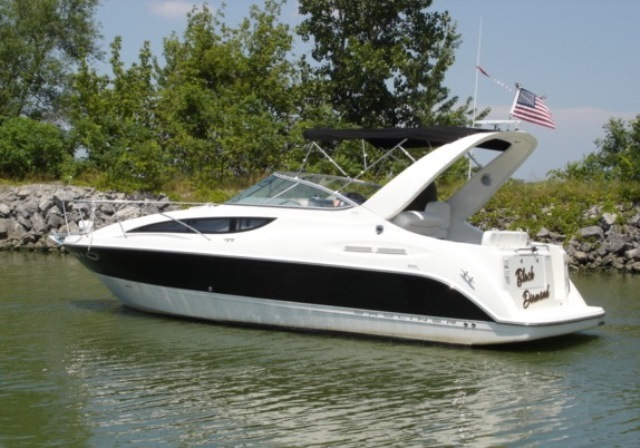 See this boat at our Ohio location. Trades considered. 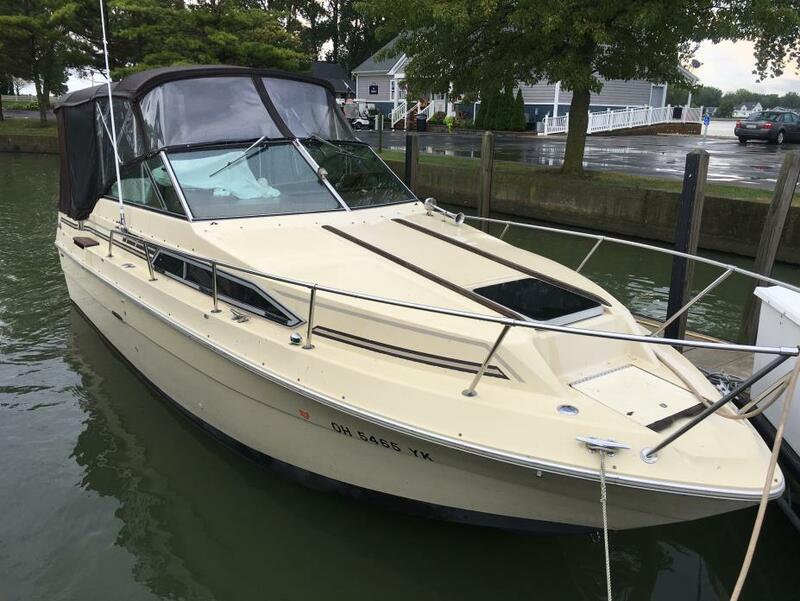 2008 Formula 31 PERFORMANCE CRIUSER, Super clean low hours, this updated version of the original PC 31 has radar arch forward, beautiful interior, ultra leather upholstery, Corian galley. Always fresh water. Trades considered. 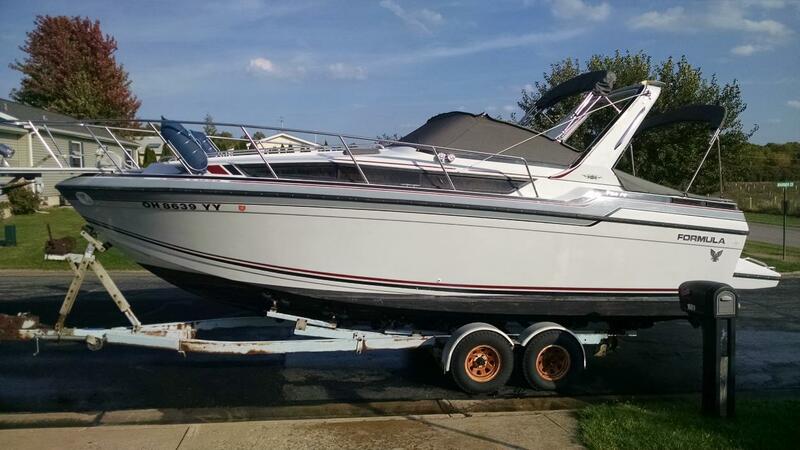 2006 Tiara 4300 SOVRAN, Always fresh water used, one owner, winter heated stored, professionally maintained. First American built specifically for Volvo's IPS drive system. This state-of-the-art yacht gives a great interior layout with second stateroom with head. Wonderful helm layout, great interior and you'll be wowed by its ride and handling. Trades considered. 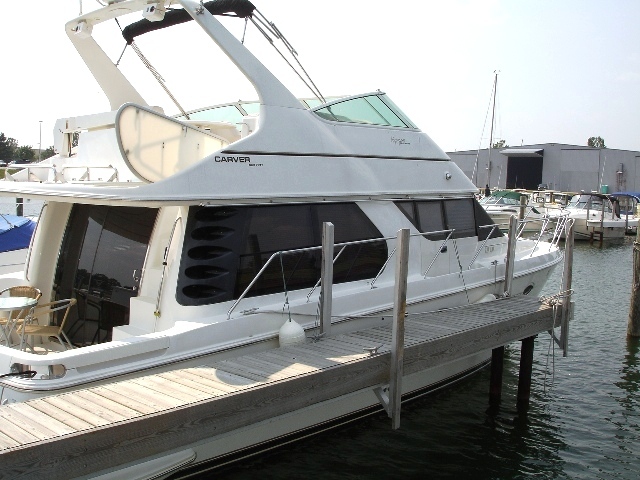 2006 Tiara 2900 OPEN, Classic Tiara dual purpose layout with upscale teak interior and large open cockpit for a "best of both worlds" feeling. This one is rigged to fish, but could be customized to day cruise. 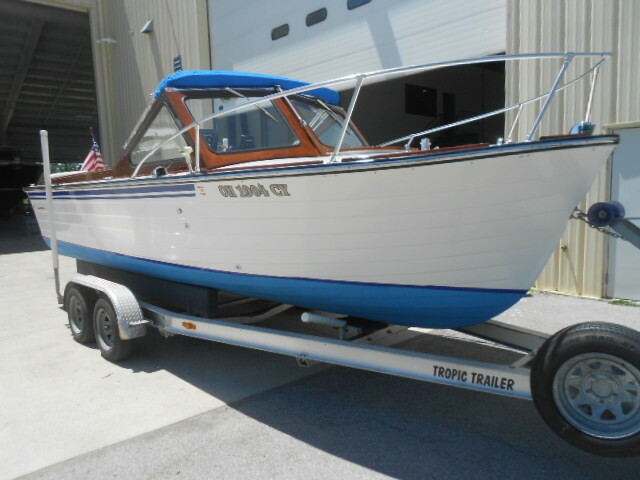 It comes with a long list of extras including the hard top with enclosure, 15HP Merc kicker, air conditioning, radar/GPS unit, autopilot that is wired to main engines as well as the kicker, and a road-worthy trailer. Trades considered. 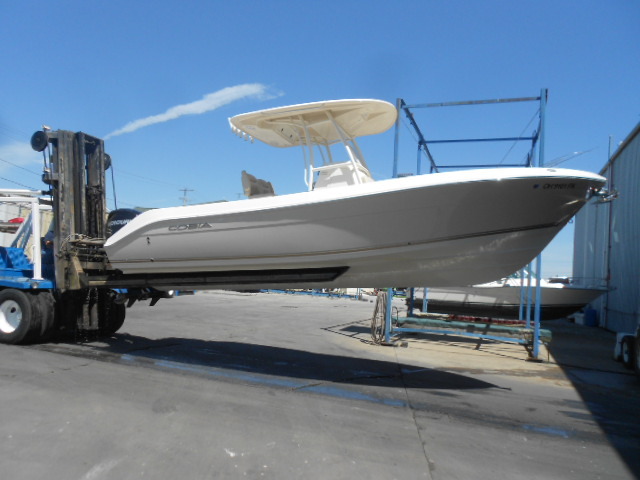 2014 Cobia 256 CENTER CONSOLE, This boat is loaded with factory options including twin Mercury Verado 150 4-strokes, T-top with fiberglass hardtop, head in the console with pump out, raw and freshwater wash-down, bow cushion package, and a fold-down rear bench seat. Rack stored, fresh water. Trades considered.